The local musical scene is going to be pretty much busy this October. Seymour Stein, the entrepreneur who first signed Madonna, and star-maker producer Steve Lilliywhite who has worked with acts such as U2 and The Rolling Stones, as well as general directors of two of the world’s largest music markets will be in town. Plus, they will focus on local musical talent and their albums. Korea’s largest music content market “MU:CON Seoul 2013,” aiming at providing the springboard for Korean singers to enter the global music industry, will be held between Oct. 10 and Oct. 11, in two major hot spots ― Hongdae and Gangnam ― in Seoul. “The key word for this year is ‘choice and exchange.’ Instead of marketing music that we want to promote abroad, we let the producers and industry watchers to do the job,” said Hong Sang-pyo, president of Korea Creative Content Agency (KOCCA), organizer of the fair, at a press meeting held at Broadcasters’ Center in Mokdong, in Seoul, Tuesday. The fair, in its second year, will look beyond music and seek for “convergence” between music and other business models. Under the theme of “Beyond Borders, Beyond Genre, Beyond Music,” conferences, showcases and business matching programs are to be presented. International music moguls such as Stein, M Simon Wheeler from Beggars Group, Bruno Crolot and James Minor will attend the showcase and meet the participants through the interviews or mentoring consultations. On the first day of the event, Indie bands will perform rock music in GS XI-Gallery, Mecenatpolis Mall, Sangsang Madang Live Hall near near Hong-ik University. 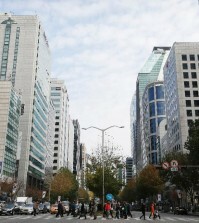 On the next day, hiphop, dance, electronic music bands will perform in places like Beyond Museum and Ellui Hotel in Gangnam area, southern Seoul. A total of 22 acts will showcase their music: 12 bands for K-Rock include No Brain, Nell, and Jang Ki-ha and the Faces; five, K-Hip hop, including VerbalJint; and five for K-Dance & Electronics, including Rainbow, Kim Lim and Idiotape. Among them, three teams will get the chance to attend South by Southwest, the North America’s largest music market, and two teams, MIDEM (Marché International du Disque et de l’Edition Musicale), Europe’s largest music market. In addition, Steve Liliywhite, the Grammy Award winning producer who worked on U2 and Rolling Stone’s albums, will select bands he would like to produce. “What I really hope is that I come home with the hit act, because I’m looking for one,” said Stein, president of Sire Records, which produced Madonna’s albums. “Since Jang’s lyrics are mainly Korean, we initially were skeptical if Londoners would ever listen to our ‘Korean rock’ music,” said Kang Myung-jin, president of Jang Ki-ha’s agency, recalling when Jang and his band took part in a K-music festival held in June in London. But, the rave response from the audience made her rethink. “Now I believe there cannot be a definite divider that conventionally separated the ‘domestic-use only’ from ‘external-use only’ in terms of content,” added Kang. The comment resonates with title of Stein’s keynote speech “Great Music from anywhere Can Succeed.” His speech will open the second day of the festival. Wheeler will talk about the rise of Indie in the international music scene, while Joseph Hahn, Rock band Linkin Park’s Korean-American turntablist, and Jeff Schroeder, Smashing Pumpkins’ guitarist, will host Q&A sessions with participants. 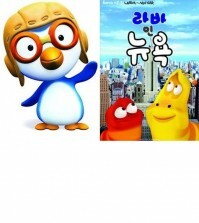 Can Korean animation break into the US market?